Document repository migration and backfile conversion projects often fall under the umbrella of digital transformation initiatives. Within the grand scheme of digital transformation, this is a simple concept: move paper documents and electronic files from various locations into a centralized content repository. The practice, however, is fraught with complex and time-consuming processes. Paper and static electronic documents must be rendered text-searchable to be able to use the data. Files must be sorted and organized or tagged according to the document taxonomy established in the new centralized content management system. Index fields must be populated to enable easy searchability and reporting. Document data must be captured, and every action must be auditable. Without a capture and content migration tool like Ephesoft Transact to automate these processes, a seemingly simple repository migration project will be lengthy and require an overwhelming amount of manual data entry. Selecting and installing a capture tool to facilitate a content consolidation project isn’t a simple task. When adopting a capture tool for digital transformation, you should consider the organization’s day-to-day document processing requirements as well as overall project goals. Although you may only need to capture a set number – say 500 or 5,000 – of invoices, applications or claim files per day, the one-time repository migration project might involve the processing thousands or millions of documents on a short timeline. This initial high-volume requirement can mislead buyers into acquiring an over-sized capture product that requires large servers and costly application licensing. Situations like these started the push for IT and Innovation departments to take their organizations core operational processes to the cloud. Cloud-based applications can take advantage of the limitless compute and storage capacity of cloud processing. However, transitioning all operational processes to the cloud has proved challenging for many organizations. This is where a hybrid cloud capture solution can bridge the gap between on-premise and cloud by taking the most resource intensive processes into the cloud. Companies that experience peaks in document processing activity – like the one-time migration project – are ideal candidates for a hybrid cloud approach to content capture and intelligent document processing. Ephesoft Cloud HyperExtender is a document processing engine hosted in the cloud. Used in conjunction with an on-premise or hosted instance of Ephesoft Transact, this tool enables scalable and accelerated document throughput by off-loading the burden of image processing and OCR conversion to the cloud. This means your organization can take the daily document throughput requirements of your business processes as the benchmark for implementing a smart capture tool, not the peak demand associated with migration projects. With Ephesoft Cloud HyperExtender, there is no need to procure large servers or spin up multiple virtual server clusters that will only be used for a short period of time or infrequently. Organizations with digital transformation initiatives that start with repository migration will benefit from Ephesoft’s hybrid approach to capture in the cloud. For the initial document consolidation project as well as ongoing or daily capture projects, Ephesoft Transact will automate image conversion, classification and data extraction to minimize the amount of human interaction required document onboarding. Regardless of whether Ephesoft Transact is installed on-premise or hosted in the cloud, the Ephesoft Cloud HyperExtender can ensure a consistent level of performance regardless of fluctuating demand. For example, when processing large batch imports from paper documents scanned in bulk, this won’t negatively impact the throughput of day-to-day document capture workflows. 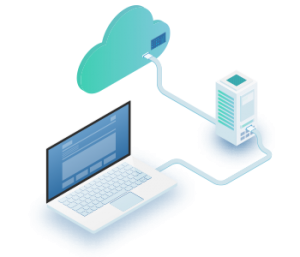 Moreover, a “pay for use” licensing model to the Cloud HyperExtender ensures your organization isn’t over-paying for a needlessly large server configuration. Interested in learning more about Ephesoft’s market-leading hybrid cloud capture solution?